Huda TV is back on 12188.00MHz, pol.H SR:27500 FEC:5/6 SID:5805 after a break ( PID:1005/2005 English - Clear). New frequency for Huda TV: 11746.66MHz, pol.V (DVB-S SR:27500 FEC:3/4 SID:122 PID:1022/1024 Arabic- Clear). Huda TV is testing in DVB-S2 Clear on 12188.00MHz, pol.H SR:27500 FEC:5/6 SID:5803 PID:1003[MPEG-4]/2003 Arabic. Huda TV has left 11746.66MHz, pol.V (DVB-S SID:122 PID:1022/1024 Arabic), it is no longer transmitted by satellite in Europe. New FEC for Huda TV on 11746.66MHz, pol.V: FEC:3/4 ( SR:27500 SID:122 PID:1022/1024 English - Clear). Huda TV switched to Nilesat 201 satellite at 11746.66MHz, pol.V (DVB-S , 11746.66MHz, pol.V SR:27500 FEC:5/6 PID:1022/1024 English). A new channel has started in DVB-S Clear: Huda TV (United Arab Emirates) on 12360.00MHz, pol.V SR:27500 FEC:3/4 SID:5073 PID:36/4112 Arabic. A new channel has started in DVB-S Clear: Huda TV (United Arab Emirates) on 3884.00MHz, pol.R SR:27500 FEC:3/4 SID:5073 PID:36/4112 Arabic. 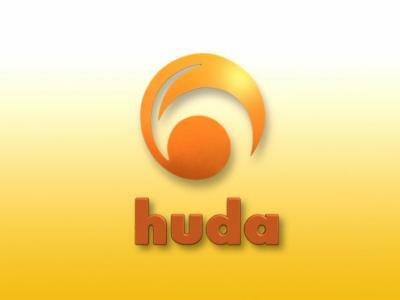 New frequency for Huda TV: 11430.23MHz, pol.V (DVB-S SR:27500 FEC:5/6 SID:122 PID:1022/1024 English- Clear). A new channel has started in DVB-S Clear: Huda TV (United Arab Emirates) on 3752.00MHz, pol.L SR:27500 FEC:3/4 SID:5073 PID:36/4112 Arabic. A new channel has started in DVB-S Clear: Huda TV (United Arab Emirates) on 4176.00MHz, pol.L SR:27500 FEC:3/4 SID:5073 PID:36/4112 Arabic. Huda TV (United Arab Emirates) broadcasts in DVB-S Clear on 11566.00MHz, pol.H SR:27500 FEC:3/4 SID:814 PID:8014/8114 Arabic. A new channel has started in DVB-S Clear: Huda TV (United Arab Emirates) on 11566.00MHz, pol.H SR:27500 FEC:3/4 SID:814 PID:8014/8114 English. A new channel has started in DVB-S Clear: Huda TV (United Arab Emirates) on 12092.00MHz, pol.H SR:27500 FEC:3/4 SID:3 PID:2001/3001 Arabic. A new channel has started in DVB-S Clear: Huda TV (United Arab Emirates) on 11566.00MHz, pol.H SR:27500 FEC:3/4 SID:814 PID:8014/8114 Arabic. New FEC for Huda TV on 11747.00MHz, pol.V: FEC:5/6 ( SR:27500 SID:122 PID:1022/1024 English - Clear). New PID for Huda TV: PID:1022/1024 Arabic SID:2020 (12566.00MHz, pol.V SR:27500 FEC:3/4 - Clear). New PID for Huda TV: PID:1022/32 Arabic SID:2020 (12566.00MHz, pol.V SR:27500 FEC:3/4 - Clear). New PID for Huda TV: PID:1022/33 Arabic SID:2020 (12566.00MHz, pol.V SR:27500 FEC:3/4 - Clear). New SID for Huda TV on 12566.00MHz, pol.V FEC:3/4 SR:27500: SID:2020 ( PID:1022/1024 Arabic - Clear). New SID for Huda TV on 12566.00MHz, pol.V FEC:3/4 SR:27500: SID:3015 ( PID:1022/1024 Arabic - Clear). Huda TV (United Arab Emirates) broadcasts in DVB-S Clear on 12566.00MHz, pol.V SR:27500 FEC:3/4 SID:3014 PID:1022/1024 Arabic. Huda TV (United Arab Emirates) broadcasts in DVB-S Clear on 11585.00MHz, pol.V SR:27500 FEC:3/4 SID:2019 PID:1022/1024 Arabic. Huda TV is back on 12566.00MHz, pol.V SR:27500 FEC:3/4 SID:3014 after a break ( PID:1022/1024 Arabic - Clear). A new channel has started in DVB-S Clear: Huda TV (United Arab Emirates) on 12566.00MHz, pol.V SR:27500 FEC:3/4 SID:3014 PID:1022/1024 Arabic. New PID for Huda TV: PID:1022/1024 English SID:122 (11747.00MHz, pol.V SR:27500 FEC:3/4 - Clear). Huda TV is testing in DVB-S Clear on 11747.00MHz, pol.V SR:27500 FEC:3/4 SID:122 PID:1022/1021 Arabic.